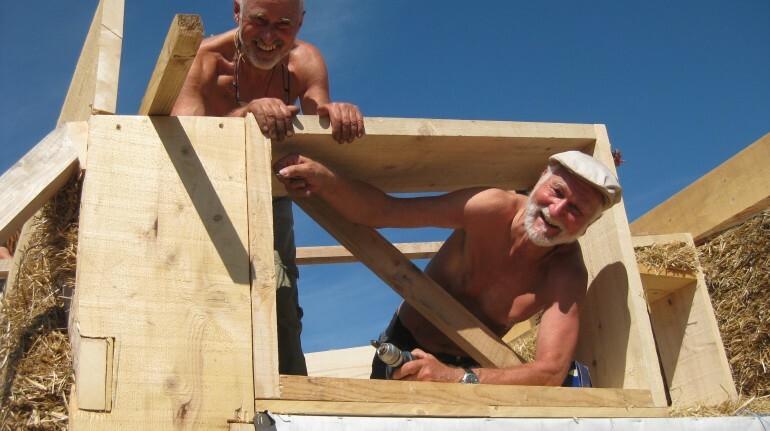 Join us for this specially crafted course combining hands-on building experience, lectures and design exercises to help you create your own eco building. 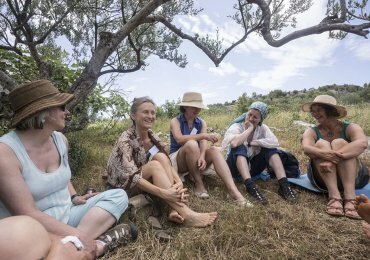 Be inspired by a multitude of techniques and projects you will see around the Gea Viva site, delve deeply into eco living while you are here and enjoy a supportive, joyful learning environment! Sabine Engelhardt is an architect, joiner and geomancer, who is the innitiator of the Gea Viva project. Being passionate about eco building, she has, together with friends and volunteers, built most structures on site. Sabine is an award-winning architect with over ten year's xperience, and has taught construction design part-time at Preston University for three years. 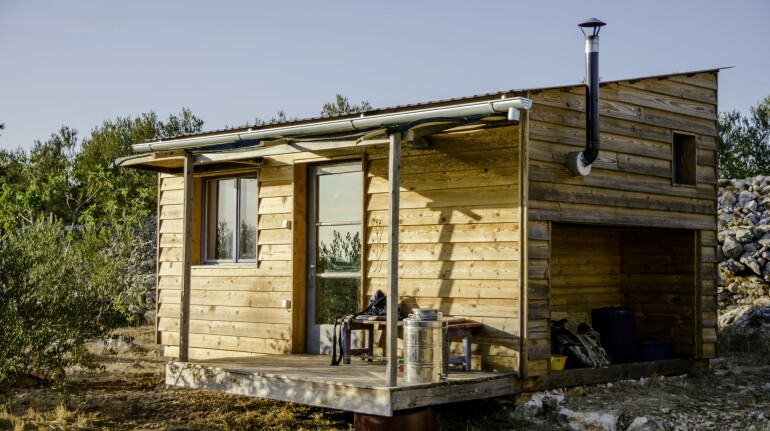 She has designed and constructed her own tiny eco straw bale house, which you can see on site. The course will run every day from 9.00 - 13.00 and from 18.00 - 19.30 hrs, with short interim breaks as required. 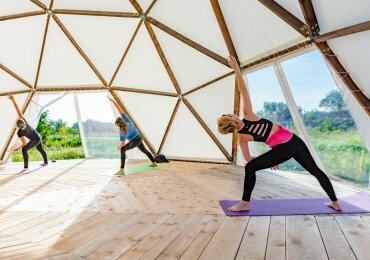 You can also take part in Yoga and meditation sessions. The long lunch breaks allow a rest or time to go swimming during the hot hours of the day. The course starts on the first day at 18.00 hrs and will finish with breakfast on the leaving day. The course language is English. Do not hesitate to ask, if you do not unterstand something, we can take it slowly. If you need, we can translate parts into German or Croatian. To secure your place on the course, please pay the deposit of 150 Euros at the time of your registration. The nearest city is Split, which can be reached by plane, ferry, rail, coach and car. From there you can catch a passenger ferry directly to Milna on Brac or travel via Supetar with the car ferry (more frequent). 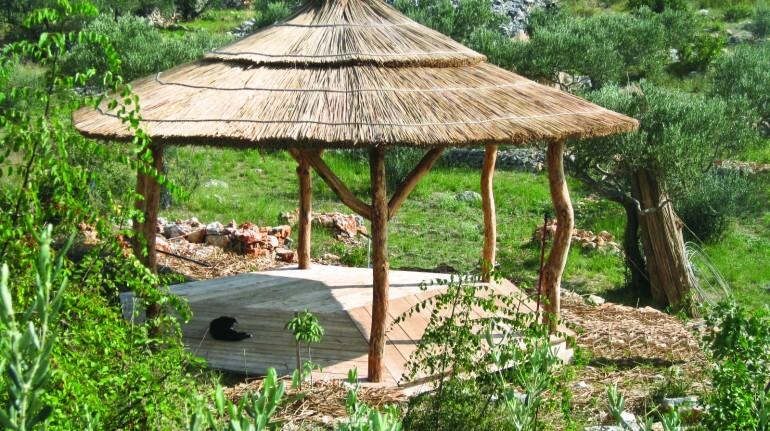 Milna is also serviced by a ferry from Dubrovnik, Mljet, Korčula and Hvar. Please bring coloured pens, a notebook, any information you might have regarding your own eco house project, working clothes, a sun hat, sunscreen and a towel.